Everyone has the right to a dignified funeral, where they will be praised and honoured in the presence of family and friends. Death is one of life’s poignant inevitabilities. When faced with the unfortunate responsibility of planning a funeral, one needs to consider several legal, financial and organisational obligations. One of the first steps in the funeral planning process is to ascertain whether or not the deceased has a funeral insurance policy, and if so, establish the details and cover of the plan. Grief-stricken family members will be relieved of financial burdens during a traumatic time, should there be a funeral insurance policy in place. Secondly, it is important to obtain a copy of the last will and testament. This document will stipulate any special requests concerning funeral arrangements. The deceased’s pre-determined burial or cremation preference can be established, and you and your family can begin to arrange their final farewell. For legal and funeral planning purposes it is essential to obtain copies of the death certificate and to apply for a burial permit, if it is the chosen procedure. It is advisable for more than one family member to take on the responsibility of planning the funeral. Family members must select and agree on a funeral home to host the memorial service. This decision will be made while under great emotional duress and it is worthwhile seeking a recommendation from a religious advisor or trusted friend. Funeral directors extend professional advice on cremation or burial procedures, as well as the logistics surrounding a funeral. 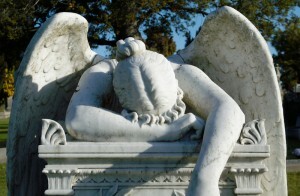 Compiling an obituary is an important aspect of the funeral planning process. An obituary is a public tribute to the deceased and an opportunity to pay respect. You will have to submit the obituary to appropriate newspapers for publication. The public will be informed of the passing and notified of the funeral service details. Speak to your appointed funeral provider as they may offer funeral notices as part of their service packages. Decide on a funeral location, and the type of service that will be held. Family members need to reach consensus on the religious conduct and general tone of the ceremony. Music plays an important role in the funeral proceedings. Select music that reflects the life of your late loved-one or songs that emulate your feelings. Select appropriate readings for the service, with the intention of providing comfort and strength to the bereaved. Memorial cards are honorary keep-sakes that are handed out to funeral service attendees. These tribute cards include photographs, heartfelt words and hymn lyrics. In planning the funeral service it is important to create memorial cards in honour of the deceased. Arrange bouquets, wreaths or sprays of flowers to adorn the funeral home or casket. These beautiful arrangements are a traditional mark of respect. Perhaps one of the most important funeral planning responsibilities, is to appoint a family member or close friend of the deceased, to deliver a eulogy. This is a personal remembrance speech that is an expression of praise, and provides insight into the deceased’s life. A casket or cremation container will have to be selected. 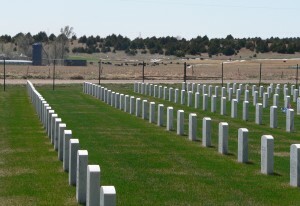 If the deceased is to be buried, a cemetery will have to be chosen, in accordance with the wishes of the departed. Family members will also have to decide on the burial attire of their late relative. Another important decision to consider in the burial arrangements is the nomination of pallbearers. When one is faced with the traumatic experience of planning a funeral, the importance of having a funeral or burial plan becomes increasingly evident. Bereaved family members should not be fraught with additional financial stress. Take the necessary precautions by applying for an affordable funeral insurance policy that will relieve your family of exorbitant funeral expenses in the event of your death by offering a cash payout to cover the costs of a funeral. With appropriate planning and a funeral insurance policy in place, your family will experience peace of mind and financial relief in the midst of a harrowing time.